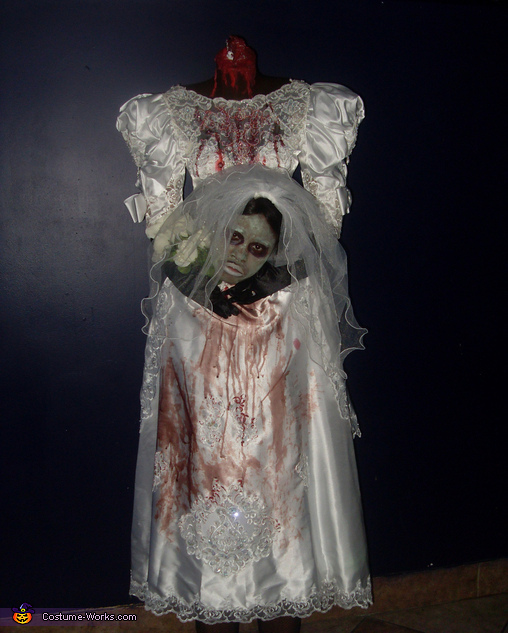 This homemade costume for women entered our 2010 Halloween Costume Contest. I had a great time making this costume. I purchased a wedding dress and mannequin torso from ebay. I cut the torso in half and attached the upper part of the torso to a bookbag. Once the torso and bookbag was sturdy I then attached the dress. The rest of the items were cosmetic work (ie: fake blood, ring, flowers, bloody neck stump).